The Center for Social Development Studies at Chulalongkorn University (CSDS) and the Stockholm Environment Institute (SEI) are proud to announce a special communications training for researchers and academics to kick off the the upcoming Greening Agri-food Systems Conference. To engage audience and communicate effectively, your scientific messages need to be concise and clear. It is about making the audience understand why your research matter. It takes real skill to be an effective communicator, skills that must be developed and refined on an on-going basis. It is when scientific messages are communicated effectively across disciplines that science flourishes, and it advances uptake, collaboration and dialogue. Today, social media is one of the most common form for news and information uptake. People turn to Facebook or Twitter, rather than to the daily newspaper. Therefore, it is a great place to share your results and your thought-provoking new ideas. However, to be part of social media is not only about communicating effectively and getting your voice heard, it is also a platform for interaction and building partnerships. Your audiences, whoever they may be, are there, for you to engage with and learn from. Storytelling is a useful and increasingly important method in which to do this, so this tool will also be a focus of the training, crafted in a way that is specific for researchers and academics. In this workshop you will understand why social media can be meaningful, get the right tools for using and engaging audiences on social media, with specific focus on Twitter and Facebook, as well as some tips and tricks for writing blogs. We will then get the opportunity to apply what we learnt during the workshop at the following days conference "Greening Agri-food Systems, Ensuring Rural Sustainability and Promoting Healthy Socioeconomic Transformation in South-East Asia." 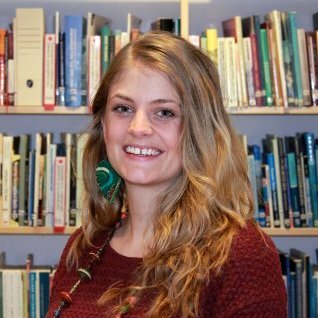 Anneli Sundin has a transdisciplinary background in sustainability science and has worked with science communication for a few years. At SEI she is responsible for providing strategic advice and delivery of professional communication activities relevant for the outreach of specific research projects. Her special competence lies in creating spaces for stakeholder dialogue, using storytelling in science communication, social media, short videos and photography. She has a great interest in topics related to sustainable agriculture and food security. Bobby Irven has a diverse education background, originally studying Chinese and Political Science during his undergrad, and last year completed his Master’s in International Development, conducting his research in the slums of Dhaka, Bangladesh. His passions center around seeking justice for some of society’s most marginalized populations, particularly around the topics of human rights, environmental conservation and recently, topics of climate change. He believes in the practical use of research and academia in affecting and changing policy, and in his current role, strives to spread the Center’s wide range of publications and events throughout the region, impacting those who make decisions at the highest levels. Our panel considers conflicts over access to, control over and use of water and natural resources at scales ranging from the interstate to the individual. We consider the implications of deepening market integration into resource use and governance, and how it produces exclusions for some to the benefit of others. 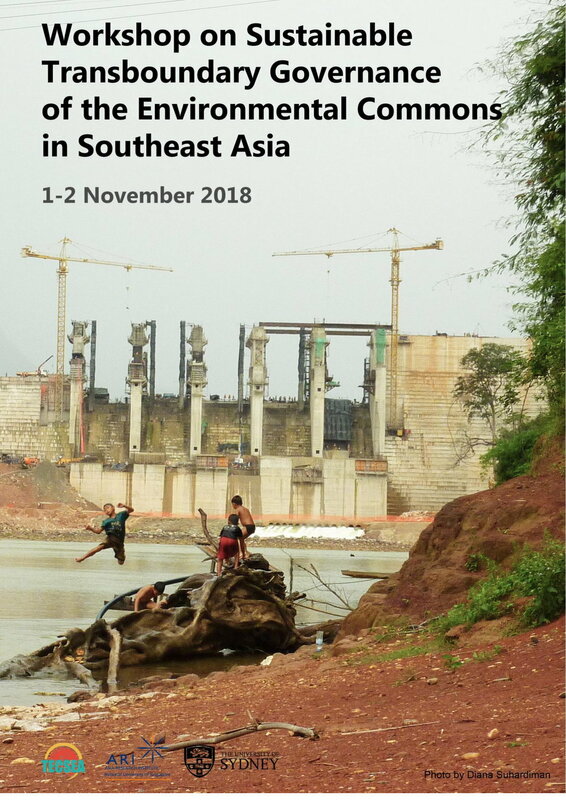 We explore the implications of large-scale developments tied to regional economic integration both in Southeast Asia, such as large-scale dams. We also focus on the extension of market relations at a more local scale, and how this entails “intimate” processes of exclusion that contrast with the more high-profile and more overtly violent exclusions. To register for this event, please click here. Conference details are available here. Co-organized by UNESCO, Chulalongkorn University (Various Faculties, Research Centers, Schools and Academic Programs); Office of the Higher Education Commission (OHEC), Ministry of Education, Thailand; Stockholm Environment Institute (SEI Asia); the Swedish International Agricultural Network Initiative (SIANI); Expert Group on Higher Education for Sustainable Agriculture (HESA) and Food Systems in Southeast Asia” housed in Chulalongkorn University, School of Agricultural Resources (CUSAR) and UNESCO Bangkok, under the auspices of the Management of Social Transformations (MOST) Programme. The Center for Social Development Studies at Chulalongkorn University (CSDS) is proud to announce its involvement in this multi-disciplinary research initiative, regional conference and policy dialogue contributing to the ASEAN WORK PLAN on EDUCATION (AWPE), 2016-2020. With the increasingly interconnectedness of global agricultural systems and its related environmental challenges (agrochemical pollution; biodiversity and species loss; climate change and greenhouse gas emissions; deforestation; depleting aquifers; desertification; drinking water contamination; drought; land degradation; soil loss and infertility; and more), current practices and future trends now threaten the future of our population and planet. This conference aims to take a closer look at these challenges and discuss the important science-policy-praxis/implementation issues that have arisen that present further barriers to success in the field. As part of its 100th Anniversary programming, CU is collaborating with OHEC and UNESCO to organize this conference inviting cooperation with various academic institutions and others (government officials or agencies, research organizations, think tanks, educators, farmer groups, NGOs, regional and UN agencies), providing an open, inclusive forum as well as comprehensive programming to meet the needs of the future. The culmination of the conference will result in the publishing of the proceedings with concrete Action Recommendations for strengthening or reforming social and sustainability sciences and agri-food systems education. In addition to discussion and presentation, the conference will use research papers or technical reports, policy dialogues and practical workshop trainings to enhance the various themes of the three days. This will further supplement the assessment of how multi-disciplinary social and sustainability sciences and education for sustainable agriculture or research can provide good scientific evidence and policy analysis to help facilitate the greening of agri-food systems. One important sub-focus of the conference will also be to debate and think critically and strategically about the past, current status and future of Agriculture Education, Research andExtension. The conference report will summarize expert recommendations on this theme, which could be used to help design new projects and guide future government education planning investments in the ASEAN region. For more information on the proposed program and full call for papers, please visit http://bangkok.unesco.org/content/2nd-revised-call-papers-and-panel-proposals-greening-agri-food-systems-ensuring-rural.